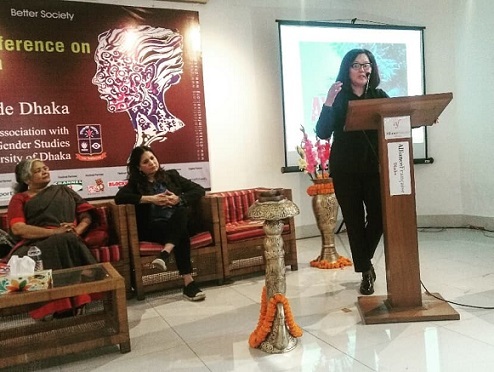 At the frame of the 17th Dhaka International Film Festival (10-18.01.2019) there were 5th Conference "Women in Cinema", 2nd Assembly of the Asian film-critics (FIPRESCI members) and special event "West Meets East". On the first day of the Conference "Women in Cinema" (13.01.19) I told about the perception of the image of a Kyrgyz migrant Ayka in Kyrgyzstan. Ayka is a heroine of the movie "Ayka" made by Sergey Dvortsevoy. She can't afford to raise a child. She has no job, debts to be paid, not even a room of her own. But there is no way to suppress her natural instincts. 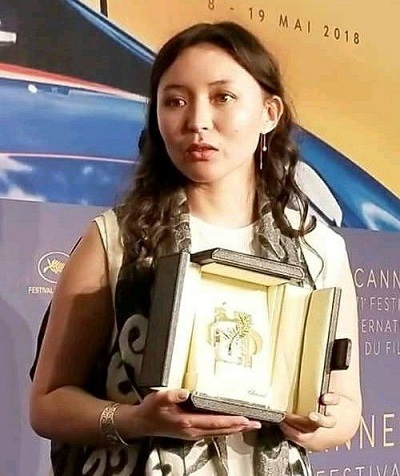 When Kazakh actress Samal Yeslyamova received the prize for the best female role at the Cannes Film Festival in May 2018, people in Kyrgyzstan split into two parts. The first part was very pleased that an actress from Kazakhstan who played a Kyrgyz woman won such a prestigious prize. The second part, on the contrary, was outraged. I could not understand. Why? How can people who have not seen the film - express their opinions? People knew only part of the movie info. They didn't know all story. People who did not see the film began to think that Ayka is a prostitute and the reason for their indignation is understandable - they don’t like when Russian mass media describe Kyrgyz women living in Moscow as prostitutes. But Ayka is not a prostitute! She is a strong little woman who is left alone with her problem. And she is trying to find a way out of the problem. 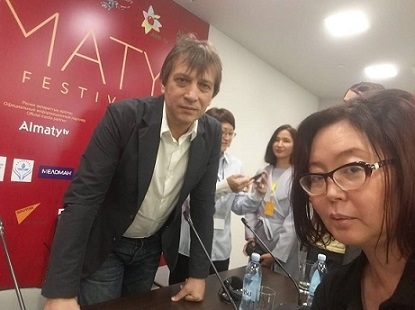 On September 15, 2018, the First Almaty Film Festival opened in Almaty city, Kazakhstan. The opening film of the festival was Ayka - a film made by Sergei Dvortsevoy about a young migrant from Kyrgyzstan who lives and works illegally in Moscow. In a personal conversation, the director told me that he was amazed by the strength and energy of Kyrgyz women. These qualities are peculiar only to them! And it helps the nation to withstand any test. After screening the film Ayka I had the meeting with director Sergey Dvortsevoy and actress Samal Yeslyamova, they asked me: “How?” - “I thought it would be easier,” I answered shortly. I confessed to Sergey Dvortsevoy that many plot twists of the film were lived by me personally in real life, and therefore the story of his heroine Ayka is very close to me. In snowy Moscow a small woman running after a dream. Every time her expectations for pennies for hard work fail. It seems that her strength is running out, she is about to collapse, weakened to the ground and will not rise again. But no! In her miniature body there is a tremendous force, its driving force is a grandiose dream. At the time of the statement, Ike is practically between life and death: weakened after giving birth, hungry, frozen, she clutches at any hard work to earn. Her problem is in a credit. Lenders follow on their heels, threatening to brutally crack down on their relatives. At home in Kyrgyzstan, Ayka took a loan to open a sewing workshop. First time her activities were good, but then some problem began. Ayka escaped from creditors to Moscow. In Moscow she was raped by a policeman. Having given birth to an unwanted child, leaves him in the hospital to start working. Money is needed to pay off creditors. At the most unbearable moment, the girl seems to have given up. Ayka calls the creditors and says that there is no money, and there will not be, but there is a newborn healthy child, she can sell him as a payment for a debt. Ayka returns to the maternity hospital to take her baby. And again, she runs across snowy Moscow - now with a child in her arms. She comes into the entrance of a multi-storey building and begins to feed the baby. Both mom and son feel relieved: sucking the maternal breast - not only nourishes the son, it alleviates the condition of the mom, because before this moment she was forced to express milk and drain it. This process has motherly feelings awakened. Sergey Dvortsevoy said at a press conference in Almaty: “How to tell the story of a girl who does not want her child at the beginning of the film, but at the end of the movie you see that she will not give the child to anyone? How to convince the viewer to believe this story in two hours? We never shot off just like that. Each frame in the film was first subjected to the deepest analysis. It was necessary to make sure that our hard work should not visible to the viewer. He must to see real life. " 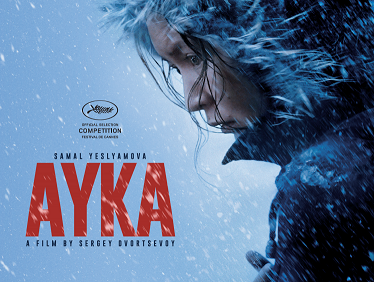 Film Ayka now included to the Oscar shortlist.